Home English Ukraine Relief: Where do the Donations REALLY Go? 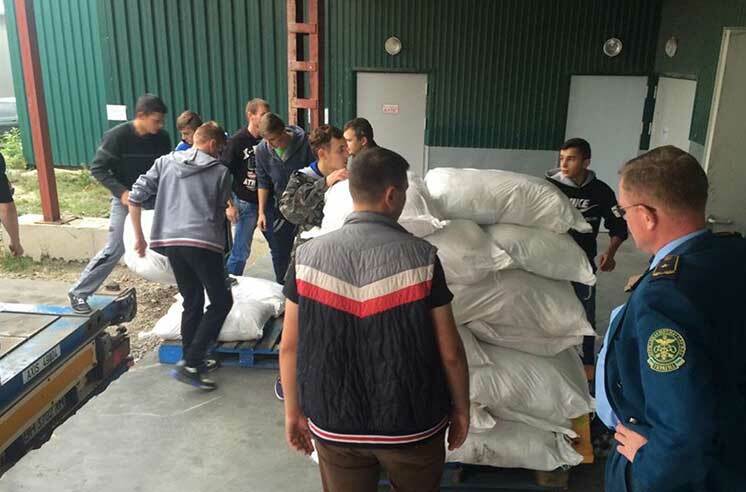 “Religious mafia” from California sells humanitarian aid in Ukraine. The Bethany Slavic Missionary Church of Sacramento helps extremists from the Right Sector. USKO Shipping employees are caught with hundreds of thousands of dollars in unaccounted money. 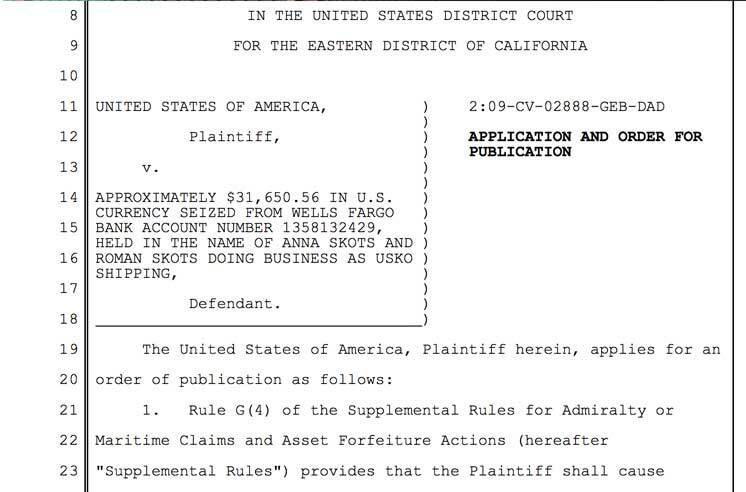 Roman Skots and Anna Skots are sued in the US District court for money laundering and flee from California to Ukraine. Millions of dollars of donated money are wasted and lost in Malawi, Mexico, and Ukraine. Ukraine Relief, a humanitarian fund from Sacramento, celebrates its third anniversary this year. About a year ago I asked the fund’s director, Stephan Skots, for a financial report about the donations and spending. According to the fund management, in those three years, there is no verifiable accounting of how much money was donated to this so-called public fund, nor are there any verifiable donations sent to the people of Ukraine. The fund organizers keep a cover of cowardly silence over the amount of donations. They publish very little information about the fund’s cash flow. Meanwhile, churches from many US states donate money to Ukraine Relief, and so do American businesses, hospitals, and even government offices. Among the fund’s supporters are the California National Guard and several Californian politicians, such as Republican Senator Jim Nielsen and Democrat Assemblyman Ken Cooley. There is very little information available about the shipping containers that are sent to Ukraine. According to Ukraine Relief representatives, the organization had shipped a total of at least 50 containers with humanitarian aid to Ukraine. But, there is no documented proof of these shipments – no manifests, no photos, no videos. Slavic Sacramento staff, together with the concerned citizens from US and Ukraine, have conducted their own investigation of Ukraine Relief and its founders. Let’s take a closer look at the business and church projects of a founder of Ukraine Relief – Stephan Skots. Let’s talk about his past and present “Christian” projects, including some suspicious and totally disastrous ones. Before his work for Great Commission International Mission, Stephan Skots had a successful partnership with one Stephan Bolebrukh of Sacramento. 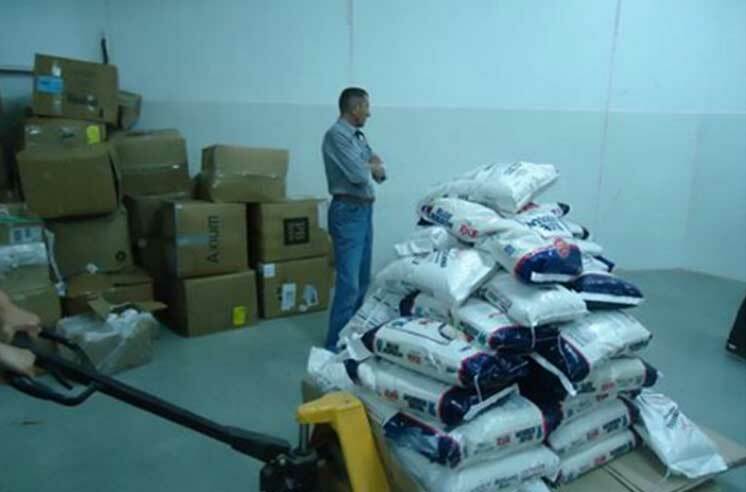 Bolebrukh’s company, called Christian International Mission, shipped humanitarian aid to Ukraine. The company was founded in 2002, but was closed for failure to file tax reports to the IRS for three consecutive years. Furthermore, as an emergency relief company, they shipped the containers using government subsidies to cover the costs. That means taxpayers paid for free freight for missionaries like Skots and Bolebrukh. According to our sources, Skots used his mission to send containers with humanitarian aid to Ukraine – where the goods were sold in thrift stores owned by his brother Roman Skots, a pastor and a businessman. Recently, he was named in a federal money laundering case. It is quite possible that Ukraine Relief still charges American churches and charities $6500 to ship every container with humanitarian aid, despite using the government subsidies. That’s double dipping! And things were going so well when Stephan Skots promised to send the first container at the expense of his family’s company, USKO Shipping. But when the donations started flowing, the cost was raised to $2000-$3000, and then jumped to almost $7000! Besides Ukraine and Russia, among the places visited by the Great Commission missionaries are exotic countries such as Mexico, Korea, Malawi, Mozambique, Romania, Argentina, Brazil, Paraguay, Japan, China, Israel, and New Zealand. I want every parishioner of Bethany Slavic Missionary Church (as well as others) to ask what happened to the one and a half million dollars that was stolen in Malawi, where Stepan Skots and the members of Great Commission went 10 years ago. With the blessing of the bishop and the self-perpetuating lead pastor, Adam Bondaruk, donations were collected for an affair called Well Water Ministry in Malawi. According to the mission’s website, in 2005, Adam Bondaruk, the lead pastor of Bethany Church, and pastors Vladimir Shevchuk and Ivan Gavrilyuk, took their first trip to Africa, namely to Malawi and Mozambique. After the silver-tongued evangelists visited, the place was also visited by Californian Ukrainian businessmen – the second mission was organized by Great Commission in 2006. The partners in this very strange affair declared the beginning of a massive project of “well drilling” in the poorest of African countries, Malawi. “In the course of 5 years the mission sent containers with humanitarian aid to thousands of hungry and poor people, including hundreds of bicycles for local pastors. The mission is supporting more than 20 orphanages in Malawi” claims the mission’s website. There are no photos of the containers arriving in Africa presented on the Commission’s website or in the official bulletin produced by the organization. “Thanks to the financial help of Slavic Christians of America, we have built dozens of water wells, so now hundreds of Africans can drink clean and fresh water every day. Love, kindness, and care for people opened the doors for more Gospel in the city of Blantyre, where the Great Commission missionary center was later built” reads the organization’s website. But according to the testimonies of the project participants, the wells promised to Malawian children were never built. There are only two photos on the Great Commission’s website showing the water wells. That’s it. There is not even a picture of the mission’s office that cost hundreds of thousands of dollars to build. The suspect evangelists promised to build about 50 water wells, each costing $5,000, according to the people familiar with the project. According to some information, up to $1.5 million has disappeared in the Well Water Ministry project. Witnesses have said that the missionaries who left the country hid stacks of cash under their clothes. Two of them were even arrested by the local authorities for trying to smuggle out a large amount of money and had to spend some time in a local jail. No one can explain what really happened in Malawi – but we can see that the water wells promised to the poor African people have disappeared in the wilderness along with the mission’s building. All that’s left is many disappointed donors and unanswered questions of the organizers of the Great Commission. The hearts of the poor African children who never got the clean water they were promised are probably shut forever to the gospels and to the love of Jesus Christ. Despite this, the empire of the tireless Skots family and their numerous accomplices in the United States and across the ocean continues to grow and develop. The next suspicious project under the guidance of Stephan Skots was the highly unfortunate affair in Mexico called International Ministries Salidad, started in 2014 by Bethany Church members. According to the information published on the mission’s website, the members of the mission were planning to help the orphans and the disabled people of Ensenada. Among the participants were members of Bethany Church: pastor Emmanuel Prokopenko, Vladimir Zakharchuk, and Sergei Struk. According to some sources, the administrators from California invested no less than a quarter million dollars in this project. They gathered building supplies and recruited hundreds of young believers along the West Coast. Project volunteers, including the students of pastor Pavel Bondaruk’s Bible School, paid up to $400 cash each to participate in street preaching and helping the locals. Another project participant was the bishop’s son, Veniamin Bondaruk. In exchange for this, the young American pilgrims were fed cheap hot dogs and used for hard construction labor. When the Skots family smelled the cash, they fired Sergey Struk, a missionary and a true servant of the Church, without whom the International Ministries Salidad project could never take off. But the dream of Skots and Bondaruk to own property in sunny Mexico never came to life. The Mayor’s office of Ensenada told Slavic Sacramento that the buildings in question do not belong to Bethany Church. According to the local laws, any international enterprise must not only include Mexican citizens in the board of directors, but to be registered to citizens of Mexico. So anything Americans buy to the south of Tijuana does not 100% belong to them. It is well known that the Skots family made their money in transportation deals in the United States and around the world; but, their initial capital, according to our sources, was made by selling humanitarian aid and organizing missionary projects – where, as far as I know, no one has ever performed any audits or accounting checks. As you can guess, missionary contracts were awarded to the family business without bidding by the Bethany Church lead pastor Adam Bondaruk. I am sure that without Bondaruk’s guidance, Stephan Skots could never accomplish any of those massive projects, most of which have failed. In an interview with a Ukrainian TV channel Gromadske published in November 2015 on YouTube, Vlad Skots invited journalist Bogdan Kutepov to his luxury house in Sacramento and told him that the brothers “always help each other in all matters”. In a Facebook post, Kutepov jokingly called the Sacramento brothers “the Volhynian mafia” (Volhyn – region in Ukraine, hometown of Skots family). Could it be that the donations gathered from all over the world for the Ukraine are going to the Skots family, their relatives and friends, and shady political figures like Saakashvili, Savchenko, and Timoshenko? Is it the profits from selling humanitarian aid that pay for the purchases of luxury houses, boats, and expensive Teslas? It is quite possible, especially with the quiet and gullible Slavic diaspora in the United States. We can see that the Skots’ name jumps from one missionary project to the next, and each project either fails to be completed or irresponsibly wastes the public’s money. Wherever the Skots brothers show up, hundreds of thousands of dollars suddenly disappear without a trace. As soon as the money runs out, they seamlessly switch to the next affair. Thanks to Import Genius logistics company, which tracks all the sea shipments in Ukraine and around the world, we know that between March and July of 2015, the Great Commission Christian mission (owned by Bethany Slavic Missionary Church) has shipped a total of 86,301kg (190,261lbs) of cargo to two organizations: Ternopol’s Baptist Church of Evangelist Christians and a company called Tavitha. One of the cargo declarations was signed by a company called Last Line, whose CEO is listed as Yuri Vasilyevich Simchishin. An Internet search finds several mentions of him as the leader of the Ternopol Ukrainian People’s Self-Defense Party (the Right Sector) and the Acting Deputy Commander of the 1st Company, 131st Military Intelligence Battalion of the Ukrainian Army. The other declaration bears the name of TOV Mercury, a company whose CEO is Igor Mikolayevich Tishchenko. According to the Ukrainian website Peacemaker, someone named Igor Nikolayevich Tyshchenko (born 1971) is a “collaborator to the Russian occupants in Crimea.” He was nominated for a seat in parliament of Crimea but lost the elections. I wonder if this is the same person? Ukrainian journalists should check him out. Between November 2015 and February 2016 (according to Import Genius), Ukraine Relief has sent only 48,155kg (106,163lbs) of humanitarian aid to the Ukraine Relief International Humanitarian Organization registered in Odessa. It seems that in order to cut out the middleman, the Skots family registered a sister company in Odessa with some help from their friends in the Parliament. Humanitarian aid was also received by a private company called OLLTA, owned by Anatoliy Khomenko, a former assistant to the parliament member Volodimir Yavorivsky (Yulia Timoshenko and Viktor Yushchenko’s Our Ukraine political block). Another cargo shipment weighing 17,557kg (38,706lbs) was shipped by Bethany Church to a charity called Drotik registered in Ternopol region. The shipment arrived to Ukraine in November 2014. I doubt that it went to help Eastern Ukraine, but I’m willing to give the Skots brothers the benefit of the doubt, considering these were all Bethany Church humanitarian projects during the war in Donbass. Furthermore, according to the IRS records, an emergency relief fund called Ukraine Relief was officially registered only in 2015. That means that since fall of 2014, the Skots family was violating the law by soliciting donations for a nonexistent company. But Slavic people don’t pay attention to small matters like that. After all, it’s just hundreds of thousands dollars in cash that is being brought to the company office by the credulous believers. Now we should mention that USKO is a diverse company comprised of several divisions, including USKO Realty, USKO Shipping, USKO Express, and USKO Truck Repair. Each of the divisions is controlled by one of the brothers (or their wives) from a large family of Ukrainian refugees. 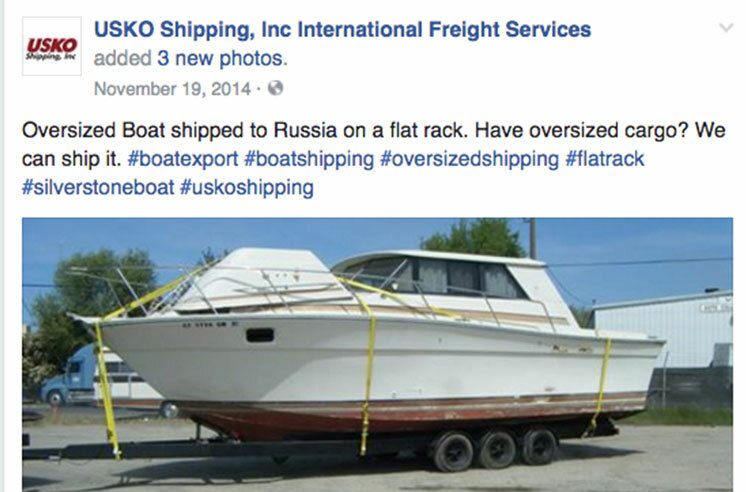 Let’s look into USKO Shipping, which was founded in 2009 and registered to Vitaly Skots in Yolo County. Today the company is the leading provider of humanitarian aid shipping services. Before Vitaly, the company was registered to another one of the brothers, Roman Skots. The history of USKO Shipping becomes a detective fiction book and even an international thriller the moment Stephan’s younger brother Roman Skots enters the scene – federal agents arrested him for bank fraud. Clarification: structuring, or smurfing, is an illegal practice of breaking a large sum of cash money into multiple small amounts (for instance, smaller than $10,000) for the purpose of turning them into financial instruments such as deposits, savings certificates, checks, and so on. Transactions for those small amounts are not usually tracked by the authorities – unlike the larger amounts. Structuring is a serious crime in the US. According to information from open sources, the annual income of USKO Shipping does not exceed $200,000, which is far less than the amounts of money mentioned in the criminal case against the Skots. “USKO Shipping’s QuickBooks records show that for all of the deposits listed on the table above, USKO Shipping had significantly more cash on hand than was deposited in the bank. 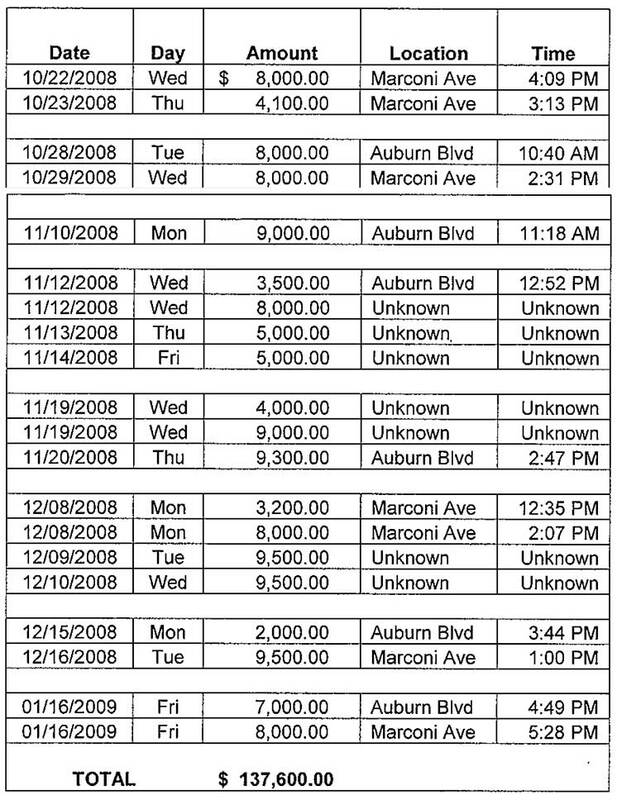 For example, on October 27, 2008, USKO Shipping received $24,920 in cash from 10 different vendors. On that date, USKO Shipping deposited $4,000, and deposited an additional $8,000 on October 28, 2009 (on which date, USKO received an additional $4,850 in cash from two different payers). Thus, on October 27 and 28, USKO received a total of $29,770 in cash, but deposited only $12,000 of those funds, and in increments of less than $10,000. This deposit pattern is in direct contrast to Ms. Skots’ statements when interviewed. As stated above, Ms. Skots stated that USKO did not receive more than $10,000 in cash in a month. But her own business records show that USKO regularly received more than $10,000 in cash in a day (October 13, 24, and 27; November 18, 20; December 1, 4, 5, 8, 9) and well-over $10,000 in cash every month (in October and December over $100,000 in cash, in November, over $60,000 in cash). Moreover, Ms. Skots stated that she would make more than one cash deposit in a day when she received multiple cash payments in a day because she did not like to keep cash at home, where the business’ office is located. But USKO records show many days on which there were multiple cash receipts but either no or only one deposit, and that deposit in an amount significantly less than the cash received. And USKO’s records, compared against bank deposits, show that Ms, Skots did not deposit over $100,000 in cash received from October through December 2008, although she claimed not to like to keep cash at home.” – says the court case. In other words, according to the FBI agents, the businessmen tried to launder hundreds of thousands of dollars whose origin they could not explain before fleeing to Ukraine. Meanwhile, according to El Dorado County administration, a $600,000 property was purchased in the name Vitaly Skots in 2015. The seized $32,000 was never returned to the Skots family; the court’s verdict appropriated the money to the government. It should be noted that sometimes local religious leaders avoid paying taxes by donating money to their own “pocket” charities using double or even triple accounting. Later, the money may show up in any corner of the world. It is possible that this was exactly what Roman and Anna were doing – laundering the church’s money through their shipping company. Or could it be the church donations meant for the hungry children in Malawi? Or maybe Stephan’s brother, Roman Skots, tried to legalize the cash made with selling humanitarian aid in Ukraine? Meanwhile, the authorities told Slavic Sacramento that an arrest warrant was issued for Anna Skots and Roman Skots, but just prior to that they fled the country. They moved to Ukraine where they continue their spiritual and commercial affairs. The Skots brothers remaining in California tell the locals stories about Roman Skots “preaching the Gospel in his home country”. Someone named Roman Skots has indeed registered a commune of Evangelical Christians called The Temple of the Savior in the town of Kryukovshchina, Kiev region. Now the crooks are preaching in their home country and running a profitable business. As we learned from Ukraine’s Ministry of Justice, there is a “Novotchina S. V.” farm in the name of Roman Skots, as well as several hardware and second hand clothes stores. Roman also sells car parts and rents out real estate. The Temple of the Savior pastor also organizes funerals (presumably, for his clients and parishioners). The younger brother, Igor Zinovyevich Skots, also owns an agricultural business. In Lutsk, Volhynia region, there is a company called Usko-Agro in his name. Slavic Sacramento has proof that several shipping containers with used clothes were sent to Roman Skots in Ukraine. 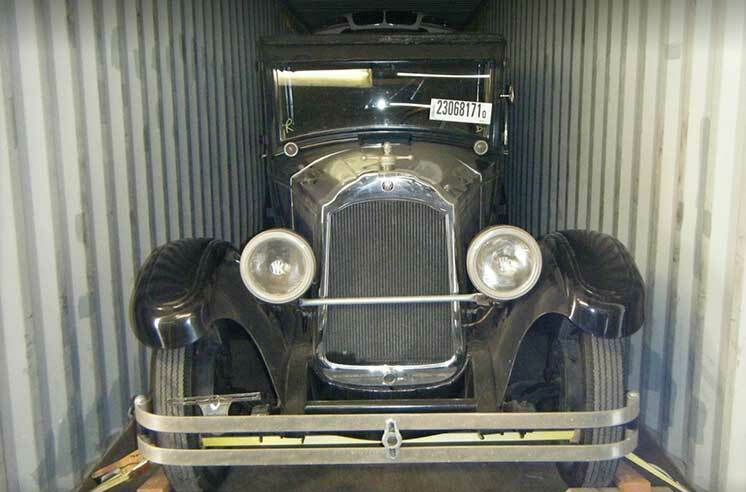 According to the logistics company, since his escape from the United States, Roman Skots has received at least several shipping containers of unknown origin. As was witnessed by Slavic Sacramento reporters, hired shopkeepers sell humanitarian aid in the stores owned by the Skots family. Roman’s relative, Anna Petrovna Skots, is also in retail business – there is a trading license in her name issued by the administration of the Kamen-Kashirsky district of the Volhynia region. The same is true for Lyubov Andreyevna Skots, who owns at least one retail store in the town of Boyarka (near Kiev) where second hand clothing is sold. How many containers have been shipped? Who were the recipients? To their donors and sponsors, the “Ukraine helpers” tell tales of 50 or even 70 sea containers shipped home. I would like to see the proof of that. But we (thanks to the logistics company) have other evidence – Ukraine Relief, Great Commission, and Bethany Church combined have delivered just 273,000kg (600,000lbs) of humanitarian aid since the beginning of the Ukrainian conflict. Considering that a sea container holds about 25,000kg on average, the charity must have only shipped 11 containers. Since clothes take more space than food or household items, we can increase this number to 13 or 15. 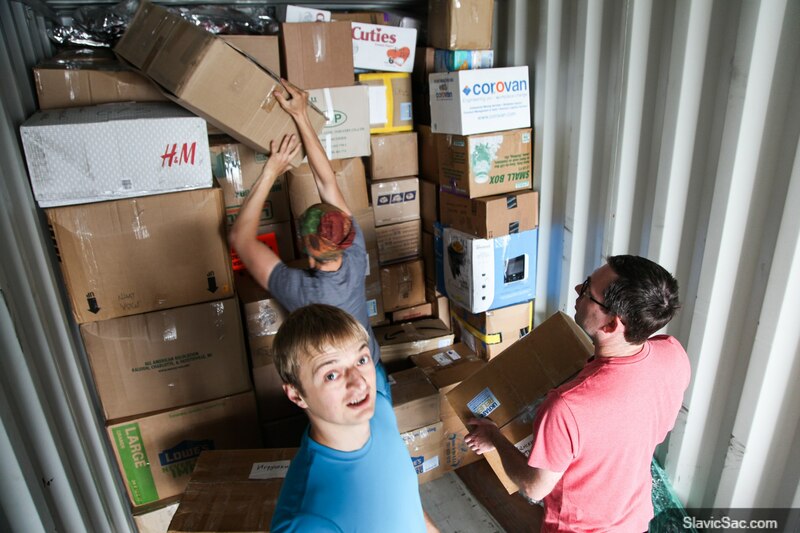 So, we can be sure a maximum of 15 containers of humanitarian aid was shipped by the team of Ukraine Relief, Bethany Slavic Missionary Church, and Great Commission altogether. What 50, let alone 70, containers are they talking about? I believe that all the legends about almost a hundred shipped containers being told by the Skots family is a blatant lie made for the avid followers and blind patriots from the diaspora. Let’s listen to the charity organizers themselves – Ukraine Relief website and their Facebook page claims only 15 containers sent from all the states, including Idaho, Ohio, and Nevada, and only 9 containers delivered to the destination – which pretty much matches our estimates! The Ukrainian press reports a much smaller quantity of delivered aid as well – the only news source that did a single mention of the humanitarian aid containers was the Ukrainian newspaper Observer, which has connections to the fund! Gennadiy Mokhnenko, a Good Changes Church pastor and the founder of the Pilgrim Fund for the Children in Mariuopol (Eastern Ukraine), told us about “one and a half or two containers” he received from Ukraine Relief. Another priest from Slavyansk, the leader of Good Word Church, Pyotr Dudnik, says that he has received a lot of help from abroad, but he does not know for sure whether it came from Ukraine Relief or some other organization. 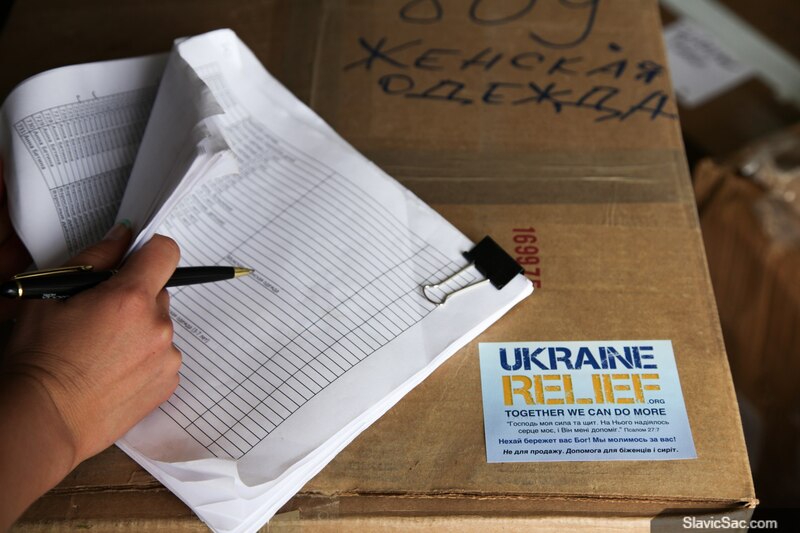 Dudnik’s warehouse manager told us that the boxes of clothes and bags of rice he handled never had the Ukraine Relief stickers on them, which were widely promoted in the US ad campaign. Along with the Dudnik remembers the containers shipped from Seattle to Slavyansk by ІМОСЕ Mission in Washington, which belongs to Anatoly Kolomiyts. Sergei Demidovich, a pastor of a Slavyansk church and a Christian TV program host who was claimed to receive the aid, declined to disclose its amount. Veniamin Krasnyuk, the leader of Life Ukrainian charity fund in Balta, told us about one more container delivered to Odessa. Mikhail Simbirsky, an activist from San Francisco, informed us that his organization, Nova Ukraine, put together one full container in May 2015, not counting the containers they shipped to Kharkov in the fall of 2015. Although in the last three cases the aid was dispatched by organizations other than Ukraine Relief, Ukraine Relief coordinated the deal, and the shipping was done by the same old USKO Shipping – naturally, not for free. The profits of the brothers’ shipping business went up with the start of the charity project. 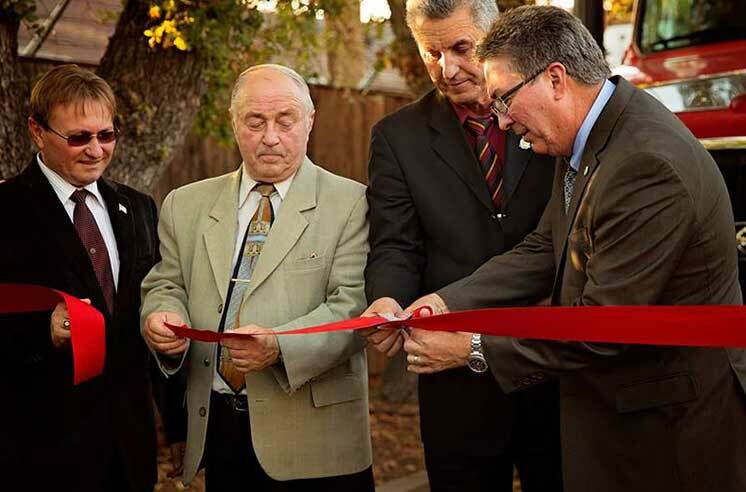 Just one year after the beginning of the Ukrainian aid campaign, the missionaries purchased a new building close to the West Sacramento port. The cost of the building and the warehouses is $965,000. 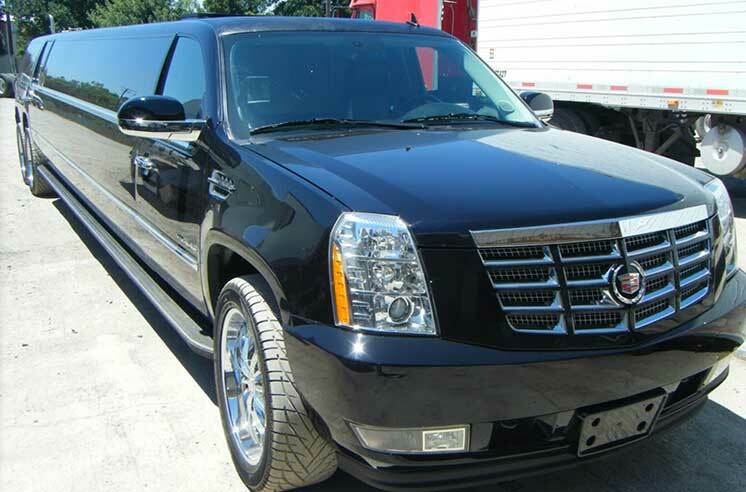 Near the giant warehouse that occupies three acres of land, you can see fancy cars with tinted windows. In the past, our church leaders were much more modest in public. 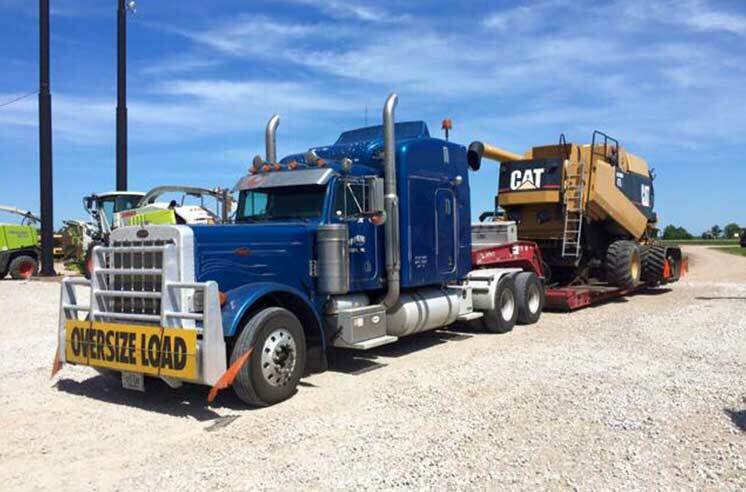 Africa, Australia, Europe, India, the Philippines – the Skots brothers can deliver any size cargo anywhere in the world. USKO sends commercial shipments to any place on the planet. There is no cargo the relentless Ukrainian brothers could not deliver at your expense, whether it is Malawi or Ukraine! 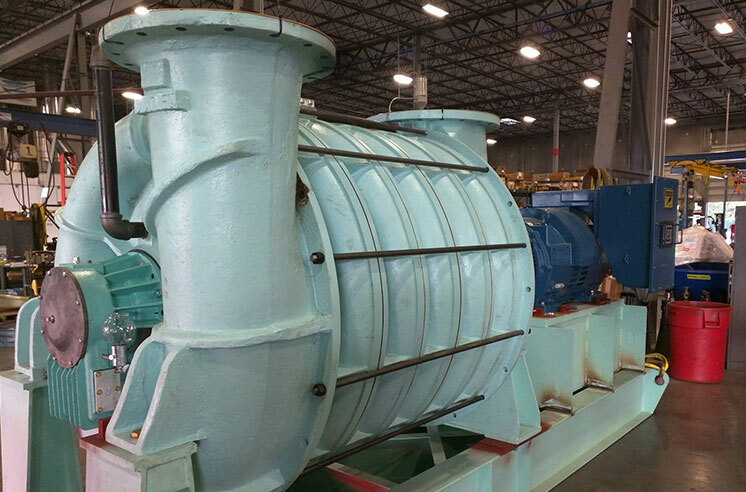 Giant industrial centrifuges, agricultural machines, antique cars, luxury Mercedes’, collectible Porsches, fashionable Teslas – all of those go from Oakland to Ukraine, Armenia, and Russia, thanks to USKO Shipping. They are not afraid to trade with Russia either, despite the permanent war that was caused, as they claim, by Vladimir Putin invading Eastern Ukraine. As their compatriots are dying from the Kremlin’s bullets, the Skots are not squeamish about making deals with Russia. For example, in November 2014, USKO shipped an “oversized boat” to the Russian Federation, at roughly the same time that Ukrainian soldiers were selflessly giving their lives to hold the Donetsk airport. What do you call someone who calls Putin an insidious occupant and keeps selling Russian natural gas in Ukraine and Ukrainian Roshen chocolate in Russia despite the international sanctions?! 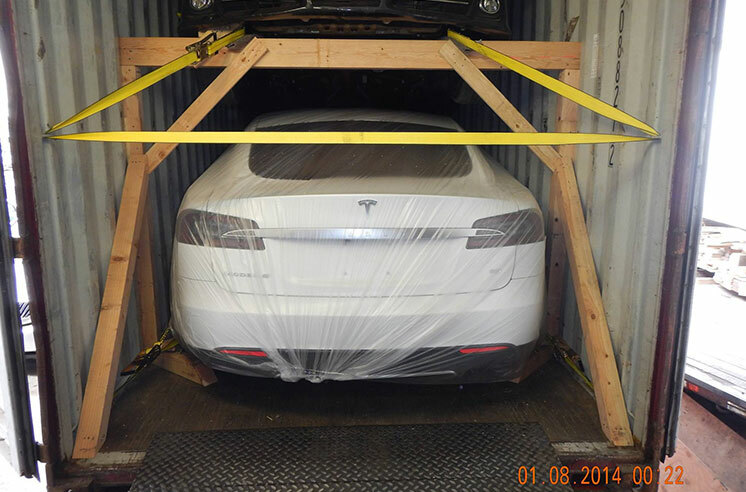 Another cargo shipped in August 2014 by USKO was a brand new, snow white Tesla. I presume now the eco-friendly car is used to fight the regime of Vladimir Putin. Or maybe it is test driven by someone in Saakashvili’s or Poroshenko’s government? Some call it a war; some call it a business opportunity. The government in Kiev does business in the same exact manner. The Skots brothers seemed to learn from them. Considering the above, it is crystal clear to me how the enormous Skots family has usurped the missionary service of Bethany Church and many other churches of the West Coast. The missionary work is a perfect cover for their dirty business. No one in their family possesses the gift of eloquent speech or has any particular trust of religious people. How can you let those crooks anywhere near a church budget? 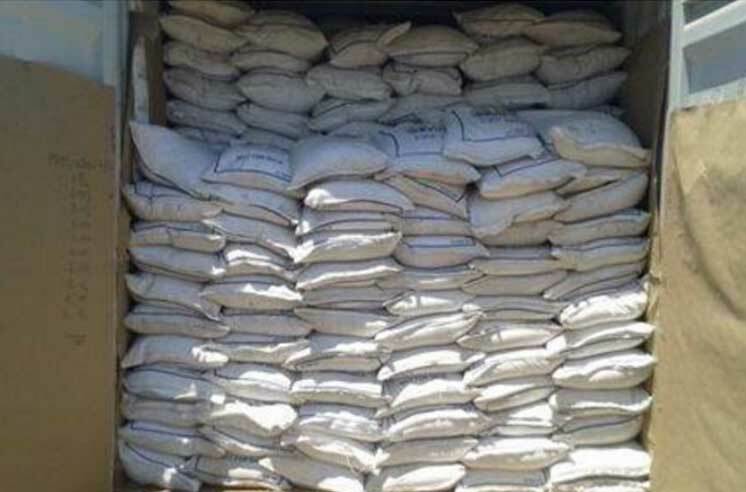 1000 tons of Indian rice for Donbass! The scheduled 1000 tons of rice never made it to the destination. According to public sources, the Ukraine got nothing. The charity organizers claim the following numbers: two containers with rice arrived in May 2015, another two were ready for shipment in August 2015, and yet another two were being prepared in October. In July 2015, according to the volunteers, 25 tons of rice (1 container) was delivered. The total is 2+2+2+1=7 containers. 7 containers times 25 tons equals 175 tons of rice. That is, if you believe the Ukraine Relief’s claims that the rice really made it to the people it was intended for. 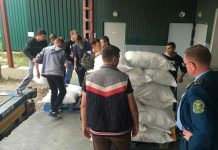 For instance, the only proof you can find online is that a representative of Ukraine Relief has delivered 5 tons of rice to the regions of Krasnoarmeysk and Gornyak. There are no more confirmed deliveries mentioned either by the Ukrainian press or elsewhere on the Internet, besides another container delivered to military hospital in Western Ukraine. Where are the promised 500 tons (or 1000 tons, as was promised initially) of the nutritious product for the war-torn region? And yet the Ukrainian and the world press is full of flashy headlines such as “Starving Donbass”, “Americans send 500 tons of rice to Donbass”, “Vlad Skots: How can America help Ukraine”, “American fair collects donations for Donbass victims”, “A US fair gathers donations for Donbass”, “Ukraine Relief sends $1 million in aid to Ukraine”, and so on. Meetings with crooked Ukrainian politicians who are quickly losing popularity in their home country, flying all over the world at the expense of the credulous believers, pretentious interviews on TV, lavish dinners at restaurants – these are the finishing touches to the picture of “serving God and the Ukrainian people” by the Skots family. Could it be that this is the exact purpose of the charities such as Ukraine Relief and Great Commission? And the meager help to the people of those countries is just a cover for their vanity and lust for money? American companies are not happy with USKO either: USKO Express (owned by Vlad Skots) was sued аt least several times because of its slow and irresponsible employees. For instance, Armstrong Transport Group sued USKO Express in the Federal Court of Colorado for damaged cargo. Another time the company was sued for a container that was missing security seals. Here is a lawsuit dated September 16, 2016. Keystone Logistics Inc. of Indiana demands USKO Express to pay $90,000 for a shipment of cherries that went bad on the way from Lodi to New York. The shipment had to be written off, but the defendant is refusing to take the responsibility. At the time of writing of this article, several Sacramento residents who paid for another batch of humanitarian aid to be delivered complained to Slavic Sacramento about delivery problems and enormous delays. Six months ago, a sea container with humanitarian aid gathered by the Polish diaspora of Sacramento was held by customs in Costa Rica. The local officials claim that the contents of the container was a commercial shipment and not humanitarian aid. 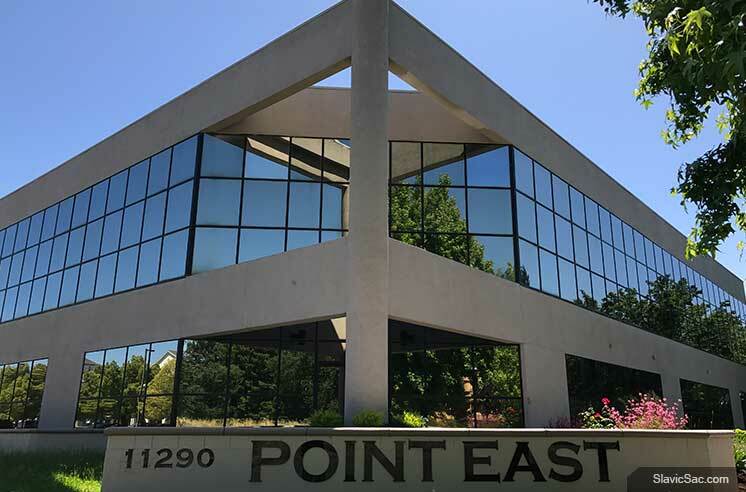 Meanwhile, according to the Sacramento Business Journal, “After a lengthy search, an expanding transportation services company has found a new place to grow into in Rancho Cordova.” The 3-story business building has 23,000 square feet of space. It is located in a strategic place at 11290 Point East Drive, near the Mayor’s office and Highway 50. The cost of office complex is $1.75 mln. Whose money pays for this investment? We are sure that in part we can thank those who genially donated to Ukraine Relief. Our donations paid salaries to their truck drivers and dispatchers, and the Skots family is getting rich off the charity and pockets the money. Now this money seems to convert to real estate and luxury cars for their wives and children. The facts and thoughts stated above make me ask a few questions of the US Attorney General. With this article I am calling to law enforcement and the senators of California. We would like to know the origin of the money Roman Skots and Anna Skots were laundering through USKO Shipping, and why those businessmen/philanthropists are not investigated for breaking US and international laws? I believe that the Slavic community of America deserves to know the answers to these questions. Куда уходят деньги, пожертвованные на Ukraine Relief?